Police who stopped the vehicle added: “Driving like this is unacceptable.” Of course it is! Use a window protector – frost shield – to keep the front screen frost-free. Turn on the ignition, ensuring you are in neutral with the brake on! Now turn on the heaters to clear screens and warm vehicle. Do not use wipers until the screen is totally frost free and clear. 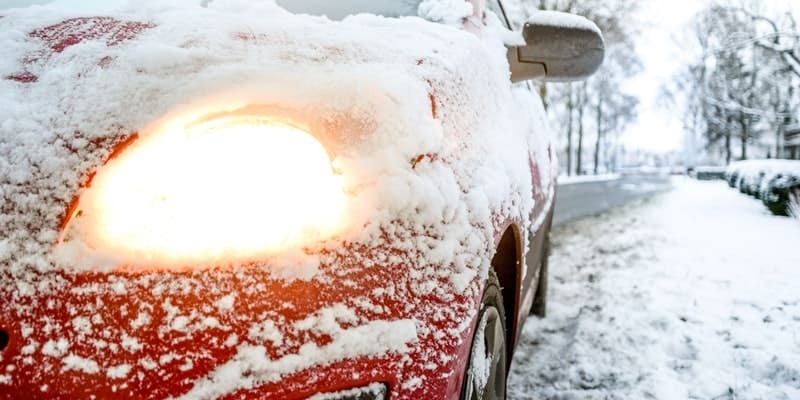 Frozen wipers and a frozen screen can be damaged.